Renovating your home can be an exciting prospect. Whether you’re simply remodelling your interior, adding an extension, or converting your loft or basement, renovations are the perfect opportunity to truly breathe new life into your house. However, it’s important to keep in mind that you can’t just go through with every renovation project without considering the ramifications. Building regulations is one of the things you have to keep in mind in those cases. When planning a renovation, most people are aware of planning permissions. 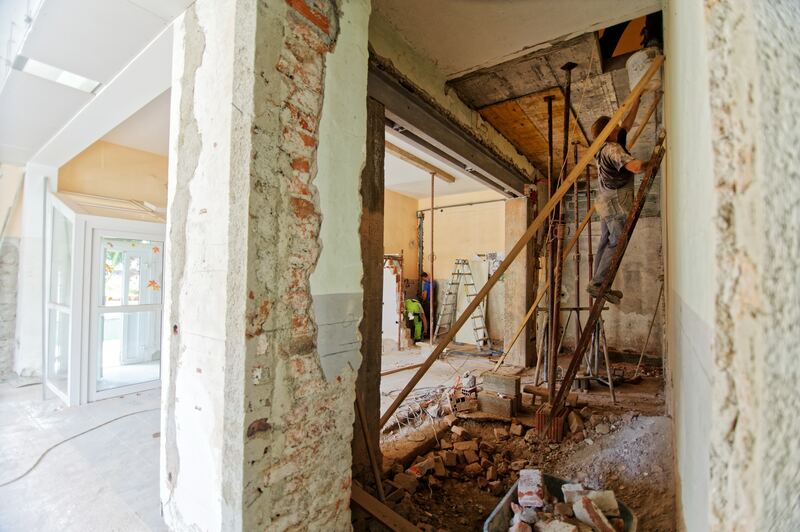 Certain types of renovations require planning permission and many people often assume that having that is enough, but that’s where Building Regulations come into play. Even if no structural changes are made to the building, Building Regulation approval is often necessary. This is because, while Planning Permission has to do with the scale and appearance of the project, Building Regulations pertain to the technical issues of the renovation, such as structural stability, energy conversation, etc. The Building Regulations define what is understood by building work. The guidelines found within must be followed in any construction project, including new builds, renovations, conversions, extensions, etc. How do they apply to renovation and conversion? From the perspective of Building Regulations, the terms renovation and conversion mean very specific things. The renovation is the alteration of any existing house or flat that may or may not involve refurbishment, but in the end, the building remains the same type of building (house/flat). Conversions, on the other hand, involves alterations that change the previous building from something else (e.g. a shop) into a house/flat. This is a crucial distinction to make as not only will the prices vary between the two types of processes, but they also operate under a different set of regulations, with different sets of limitations set on either type. The differences mostly lie in energy conversation, sound insulation, etc. When is done you need the Dining Furniture for Relaxed Home. It makes a huge difference when it comes to dining your kitchen or dining room. When you have many numbers of friends or family members visiting your home, it becomes very difficult to accommodate all of them to seat at once in your small dining table, resulting in half of them eating their food with their plates in lap. Definitely, you do not want to be embarrassed this way. Choosing a table that gives a lot of space and makes use of each little space is a must when choosing dining furniture. This is why most of the household use extendable dining table at their homes for their comfort. More details soon.